Whether you’re in a creative rut or looking to start a new project, finding inspiration and encouraging words is key. It can be from a friend or coworker, but the right words are often enough to make that idea click. That’s why it can be helpful to hear from the greats themselves for inspiration. 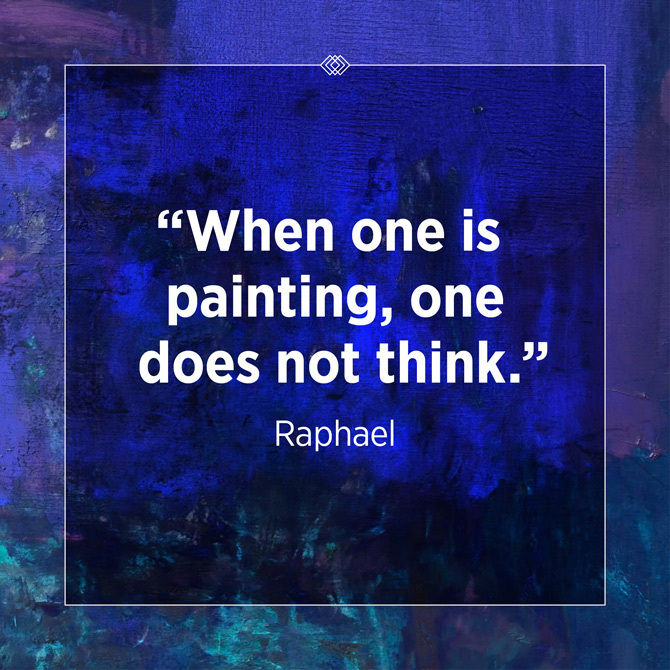 With these creativity quotes from Invaluable, you can take solace in the words of Da Vinci and Rembrandt, whether you’re a painter or looking for creative inspiration in other areas of your life. 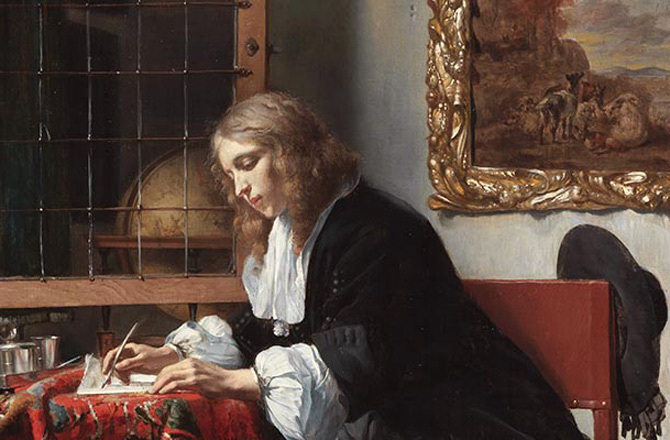 These words from the Old Masters, the European artists who lived between the 13th and 18th century, speak not to one particular style, but several movements during this time, making it easy to find inspiration from each artist’s experiences. If you have a particular era that inspires you, such as the Renaissance or the Neoclassic era, you can look to quotes from that time period to inspire a specific work as well. For instance, this quote from Raphael, an Italian painter known for his piece, The School of Athens, is perfect for any Renaissance-buff. Even if you don’t paint, the notion that when one is doing something they love, such as painting or any other creative task, they become so focused that they don’t even need to think. For the Mannerist era, the style that stepped away from the realism known to the Renaissance, we have a quote from Federico Zuccari, a fresco painter known for his work in various chapels, about breaking rules as a creative person. Many people can become limited by rules or something that society prefers. 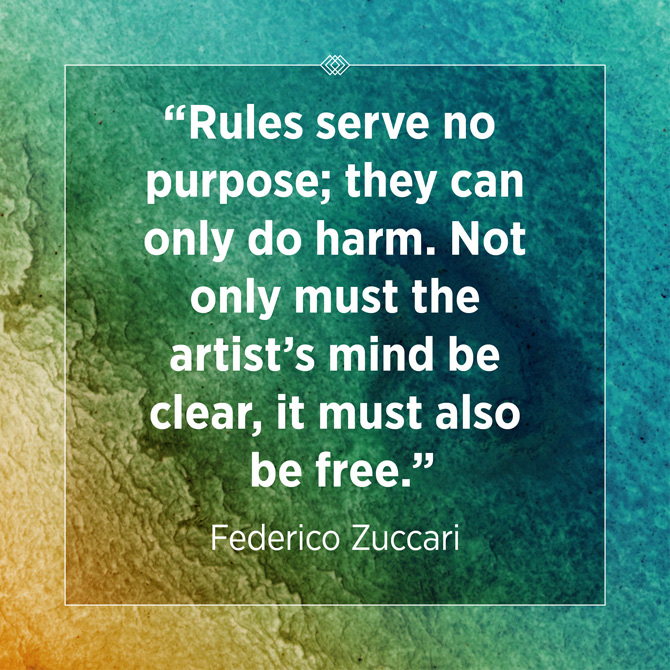 This quote by Zuccari speaks to any person’s need to exercise their creativity and their need for freedom to do so. Moving on to the Baroque era, when art was meant to inspire awe, comes a quote from Nicolas Poussin, the leading painter of the French Baroque style, that very well speaks to the artists’ desire to inspire awe. 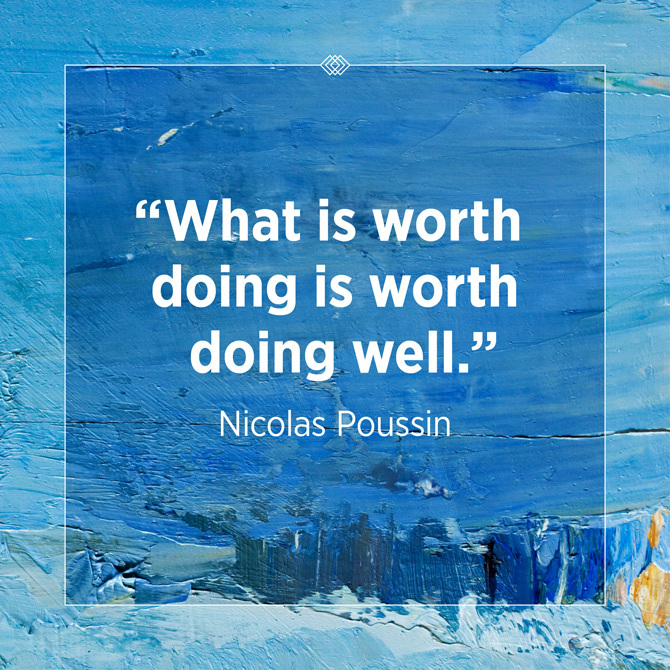 Poussin’s quote about doing anything well that is worth doing reminds us to always prioritize quality. Otherwise, it serves no true purpose! Next, we have the Neoclassic era, where artwork was more decorative and visual and focused on clear form and style. 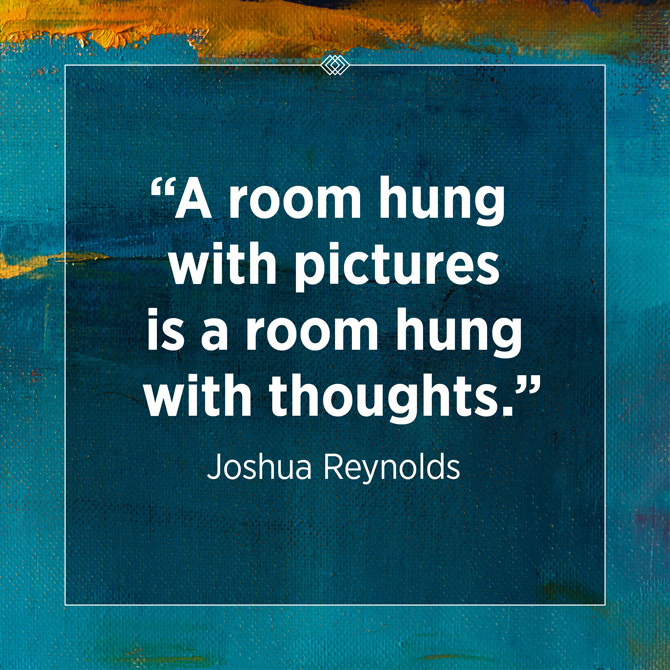 Joshua Reynolds quote, though about hanging art in one’s room, also touches on the idea that one must inspire themselves externally in order to receive any form of internal inspiration. And, as a result, one must also fill one’s mind with inspiring things, so as to metaphorically hang beautiful art in their mind. Finally, we have the Romantic era, where there was an emphasis on passion and individualism. 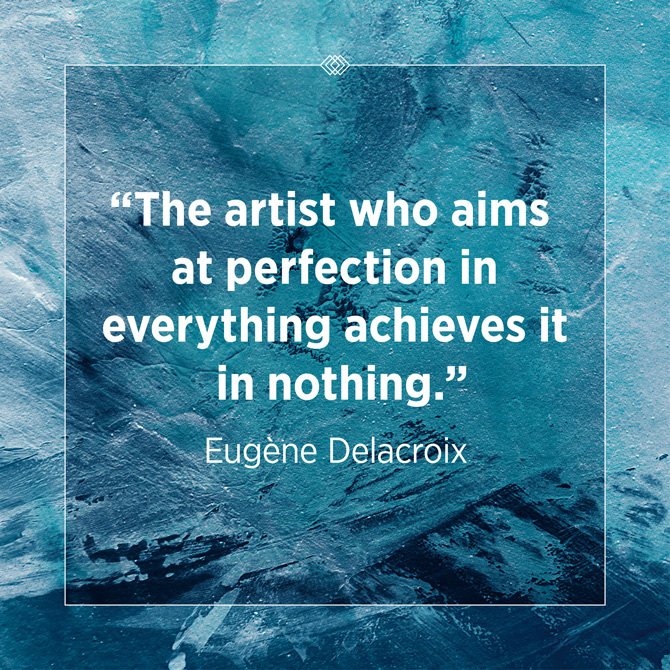 There was a focus on beauty in nature, which is why Eugène Delacroix’s quote on perfection is so true. So many artists and other people working on something, be it work or a creative pursuit, struggle for perfection. However, Delacroix points out that perfection in everything actually achieves very little, something many people who pressure themselves to make everything perfect should understand.